We are a leading Wholesale Trader of solution oakton nist ph buffer 500ml bottles from Mumbai, India. Our wide spread clients can avail from us wide range of Solution Oakton Nist Ph Buffer 500ml Bottles . These are certified pH Buffer solutions and are used for various Industrial and Commercial applications. These are formulated in confirmation with international quality standards and are offered at industry leading prices to our customers. 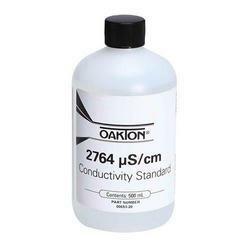 Looking for Solution Oakton Nist Ph Buffer 500ml Bottles ?